Kumho Tire is very proud to announce the appointment of General Automotive as their official distributor for the Kingdom of Saudi Arabia. With its head office based in Korea, Kumho Tire operates eight overseas sales corporations and 14 offices. Kumho Tire is a global company that exports more than USD1.8 billion worth of products to approximately 180 countries. Through its network of R & D centres in China, America and Germany, and Gwangju, the company has among the best tyres globally, manufactured by its eight domestic and overseas factories. It is also taking its second stage leap into the global market through aggressive marketing activities and the expansion of its sales network, enhancing the awareness of the brand. In 2007, Kumho became a Platinum Partner of the Manchester United Football Club, and is classed as an official club sponsor. In partnership with Manchester United, Kumho launched a “Play Safer” campaign designed to increase youth road safety awareness. The company also sponsors other motoring events such as European Formula 3 racing. General Automotive (GA) is a sector business of General Tyres and Rubber Holdings, and was set up in September 2002 with its headquarters in Al Khobar, Saudi Arabia. GA represents leading tyre brands such as Continental, Infinity and many others for industrial, agricultural and off road tyres. 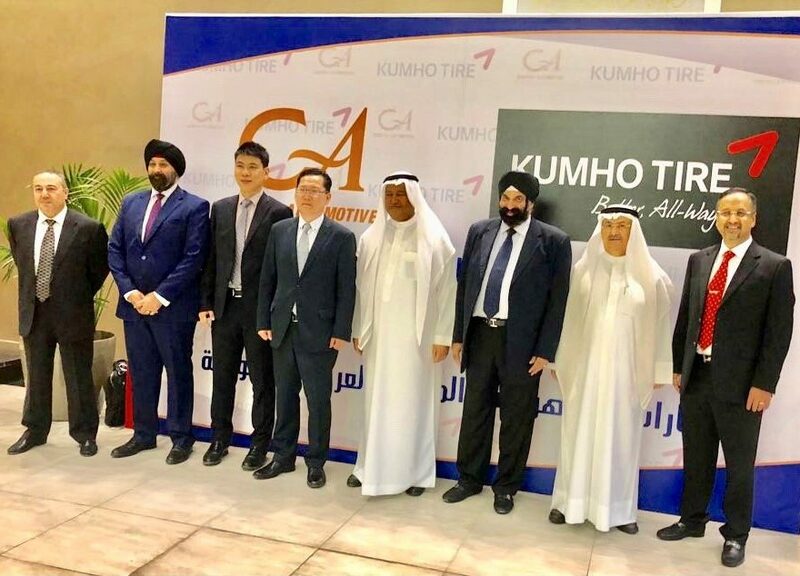 With the addition of Kumho, it has the potential to become the leading tyre supplier across the Kingdom of Saudi Arabia. General Automotive has a vast network of its own retail centres across the kingdom and is also privileged to be the preferred supplier to a vast majority of dealers, fleet customers and individual customers. General Automotive has very well equipped warehouses and delivery mechanisms in place to meet all customer requirements.